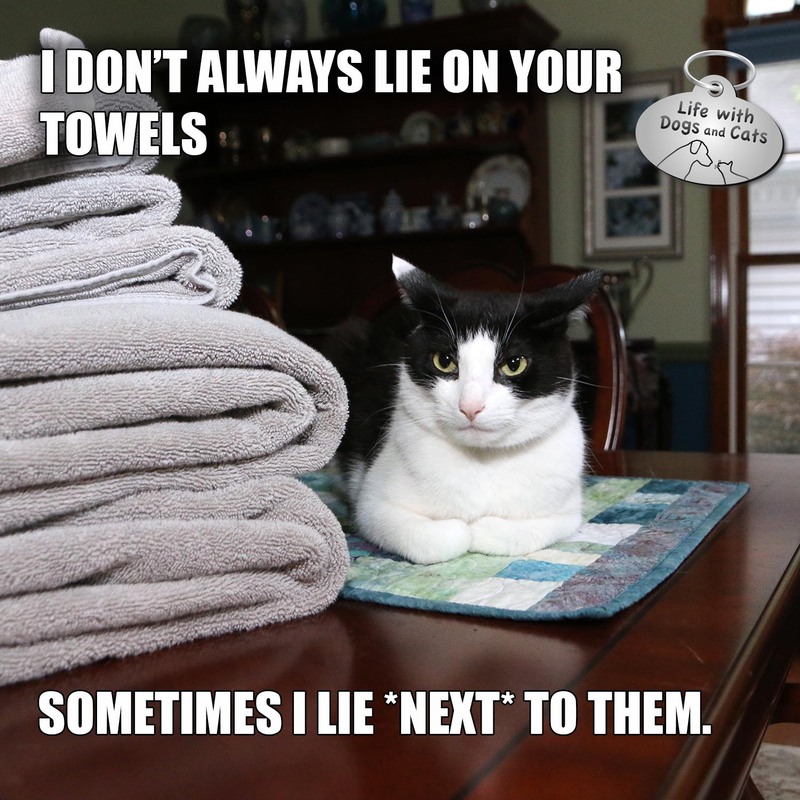 I don't always lie on your towels. Sometimes I lie *next* to them. #MostInterestingCatInTheWorld #StayComfy, my friends.